The Family Folk Machine presents “Down By the Riverside,” our spring concert, on Sunday, May 4, at 3 p.m. at the Senior Center. The concert will include familiar water songs like “The Water is Wide” and “Michael, Row the Boat Ashore” as well as lovely and lively new favorites. 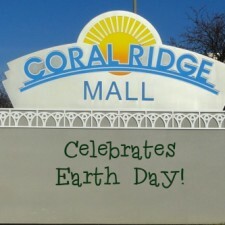 On Saturday, April 26, a group of Folk Machinists met at the Coral Ridge Mall for an Earth Day event at the food court. 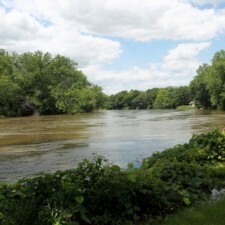 Along with the local chapter of the 100 Grannies, the Iowa River Friends, and others, we sang the Climate Song. Join us this Saturday for an all-request sing-along! Bring instruments, friends, neighbors, and children. 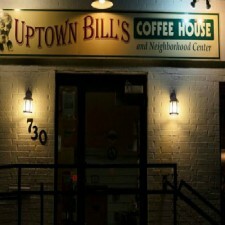 We’ll have Rise Up Singing books, and Uptown Bill’s will provide the warm and cozy atmosphere. There’s free parking evenings and weekends in the UI lot across the street from Uptown Bill’s.